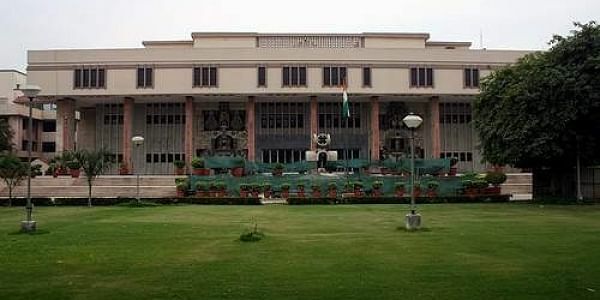 The plea, filed by a second-year law student of DU's Campus Law Centre, alleged that 500-700 seats got "wasted"
NEW DELHI: A plea alleging that 30 per cent of LLB seats in Delhi University (DU) are wasted every year by "non-serious" students, was moved today before the Delhi High Court. The PIL came up for hearing before a bench of Acting Chief Justice Gita Mittal and Justice C Hari Shankar which directed it for listing before an appropriate bench on February 5 after the former recused from hearing the matter. annually as the students take admission either to secure a hostel seat to prepare for various entrance exams or block the LLB seat as a back-up plan. Petitioner Subhash Vijayran sought a direction to the varsity, its Faculty of Law and Bar Council of India for taking a mandatory bond of Rs five lakh or an appropriate amount from the students taking admission in law course. Alleging that the current examination system was ruining the talent of students, the plea said that the topics for the theoretical semester exams were specific and predictable. It claimed that majority of students did not read case materials but pursue guidebooks to pass the exams.